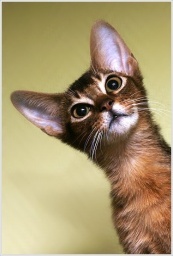 On December 21st, 2008 came to our home Abyssinian male wild color Zeus Rosa Glauca. Adding on section Divine Zeus and first photo our Dia. In Common photo also two pictures with Issa.